The Ares V is NASA’s next generation space launch vehicle. In order to streamline the design process, NASA engineers paired finite element analysis software with special software that can verify the vehicle’s structural integrity. 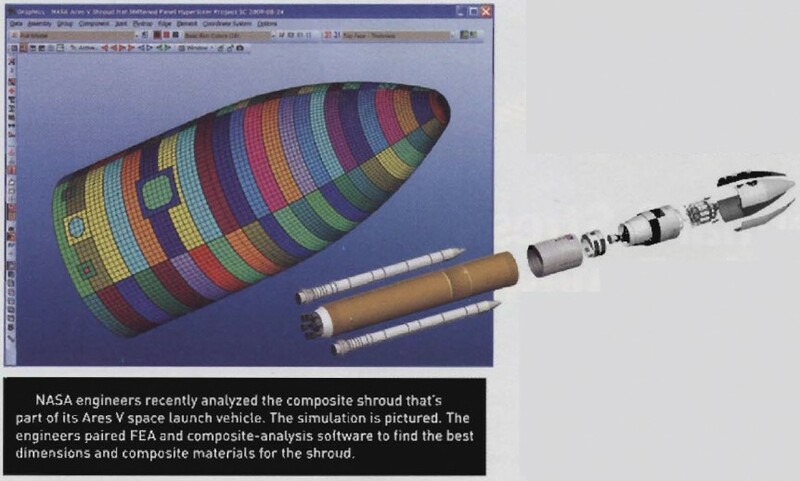 According to the vehicle specifications, the shroud of the Ares V will separate into four petals during flight, to release the lunar lander, said Craig Collier, president of Collier Research of Hampton, Va. His company makes the structural integrity software, called HyperSizer, used for the Ares simulation.